Welcome to March’s issue of the R.E blog! I hope you are all refreshed after the mid-term and ready for this new term. I hope the blog is proving to be of use to you in planning and engaging your students. I would welcome any feedback so that I can continue to improve the resources. Irish resources will be available with the continued help of Sr. Mairéad Ni Bhuachalla. All teachers and students of Religious Education are invited to attend the RTAI Annual Conference which takes place on March 10th in the Hudson Bay Hotel. Places are limited and must be booked in advance by emailing canavanmt@gmail.com. See http://www.rtai.ie/annual-rtai-conference/ for full details. 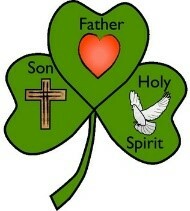 St Patrick is one of Christianity’s best known figures. Born in Britain to a wealthy family near the end of the fourth century, at the age of sixteen, Patrick was taken prisoner by a group of Irish raiders. He was carried away to Ireland where he was held captive for more than six years. During his time as a slave, Patrick worked as a shepherd, attending the flocks of his master. Alone and homesick, Patrick prayed many times a day while in the pastures with the sheep. Later Patrick joined St. Martin’s monastery at Tours, learning the Christian life, which would help prepare him for his future ministry amongst the Irish. Patrick evangelized in Ireland for many years. Born on August 15th 1917, Oscar Arnulfo Romero y Galdamez was sent to study for the priesthood in Rome and was ordained in April 1942. He embraced a simple lifestyle; he was a popular preacher who responded with real compassion to the plight of the poor. He gave dedicated pastoral service to the diocese of San Miguel for 25 years. He was ordained Archbishop of San Salvador in 1977. Over the years the social and political conflict in El Salvador intensified, and from his Cathedral pulpit Archbishop Romero became the voice of the voiceless poor. There, in a society of cover-up and lies, he spoke the truth of what was happening in the countryside; he denounced the killings, the torture and the disappearances of community leaders; he demanded justice and recompense for the atrocities committed by the army and police and he set up legal aid projects and pastoral programmes to support the victims of the violence. He was assassinated on Monday March 24th 1980 as he was celebrating Mass in the chapel of the Divine Providence cancer hospital where he lived. Thirty five years later, he was declared a martyr of the Church, killed out of hatred of the faith, and was beatified on May 23rd 2015. Trócaire Romero Award is a student led awareness raising project that can be incorporated into a TY module, a CSPE project, or a RE topic. Prizes for most impressive entries and schools can register online at trocaire.org/romeroaward or contact elisha.kelly@trocaire.org for further details. 70 schools from different parts of the Diocese are in the process of taking part in Emmanuel across four nights (26/27/28 February and 1 March) from 7.30pm. 2400 students – 600 per night – will participate in a massed choir, accompanied by a full orchestra. We will have details and photos of this wonderful event in due course. Please support your local school! Dr Fáinche Ryan Director of the Loyola Institute, Confederal School of Religions, Peace Studies and Theology Trinity College Dublin would like to invite you to attend a workshop for Religious Education teachers entitled Laudato si’ – Pope Francis and his love letter for the earth on Thursday 8th March, 5.00 – 6.45pm. An invitation is attached below. Feel free to share this invitation with any RE Teachers you know who might be interested. Pope urges youth to go online and give the Church an earful! In his noontime Angelus address on Sunday, Pope Francis essentially invited youth of the world to go online and give the Catholic Church an earful, as part of an upcoming March gathering of young Catholics ahead of a Synod of Bishops on youth in October. Perhaps you could encourage your students to participate and have their voice heard! You can find information on the web site of the Secretary of the Synod of Bishops. PLEASE NOTE: The annual feast day of The Annunciation co-insides with the celebration of Palm Sunday this year so the date has been transferred to April 9th.